Approximately 8% of our children now have food allergies – that’s an average of two in every classroom. Food allergies have reached epidemic proportions (having grown 50% between 1997 and 2011), and it has changed the way we need to think about food in the classroom. Whether your child with food allergies is going to school for the first time or you have received a letter from your child’s school notifying you that certain foods are not allowed in the classroom because your child’s classmate has severe allergies, getting on the bus with a lunchbox is no longer as simple as it used to be. In addition to communicating with your child’s teacher, the principal, the school nurse, and the cafeteria staff about what is required to keep your child safe (school planning resources can be found at Kids with Food Allergies) you will need to focus on packing a safe lunch and snacks for your child. Bread – Those with allergies to wheat, dairy, eggs, and/or nuts will need to find safe bread for sandwiches. Usually found in the frozen “natural foods” section, bread labeled gluten-free is a good place to start. Check the labels for other allergens. Alternatively, you can make your own allergen-free bread (using a resource like The Allergy-Free Pantry) or choose a veggie option such as a lettuce wrap or cucumber rolls. Sandwich topping – There are off-the-shelf options for allergen-free mayonnaise, as well as mustard. Be sure to read labels carefully (especially if you are managing milk, soy, or egg allergies) or choose to make your own mayonnaise. Milk – If your child is allergic to milk, choose a safe non-dairy alternative (e.g., coconut or rice milk) in single-serve containers or substitute a fruit juice. Worried about spilled milk? Parents with young children who have contact allergies to dairy may want to request special attention in the cafeteria. Snacks – Find one off-the-shelf snack option (e.g., bars or cookies) that meets your child’s dietary restrictions; read the nutritional label to avoid those loaded with sugar and starch. Other healthy snacks include fresh fruit and celery sticks filled with sunflower seed butter. I also recommend keeping a box of safe allergen-free treats at school to be used for an impromptu snack and to help keep your child from feeling left out. Nuts – The most controversial of foods that are no longer allowed in some classrooms is peanut butter, but nuts are responsible for some of the most severe anaphylactic reactions and responsible for the most food-allergy deaths. If a child is allergic to peanuts or tree nuts, both should be avoided as they are nearly always processed together. If allowed at your child’s school, sunflower seed butter is a highly nutritious replacement. Also, a trail mix of sunflower seeds and/or pumpkin seeds, raisins or other dried fruit, and allergen-free chocolate chips makes a great snack! The most important thing you can do to help a child with food allergies is to be supportive. Whether your school requires the students to wash their hands each time they enter the classroom or has banned nuts and peanut butter from the classroom, the accommodations requested by the parent of that child are about safety and just as important as using a seat belt in the car. Don’t be surprised if your offer to make allergen-free cupcakes is turned down. Every food allergy parent worries about homemade treats that weren’t made under their watchful eye due to concerns of cross contact. Instead, offer to reimburse the parent for the ingredients (allergen-free ingredients can be expensive! ), if she wishes to bring a treat the entire class can share for your child’s birthday. Alternatively, make sure the parent knows what you plan to bring into the classroom, well in advance, so that she can plan to bring a suitable, safe substitute for her own child. Do respect the choices of the parent with food allergies and let them take the lead. In some instances a total ban of certain foods (e.g., peanuts due to the potential severity of the reaction) may be needed for one child, whereas another child with may simply require a well-cleaned lunch area. Some children react to airborne allergens, some react to contact (touching the food), and others may react only when the food is ingested. Opt for non-food celebrations whenever possible. Stickers and small toys make great treats for Halloween, Valentine’s Day, and birthdays. If you do bring food to the classroom, save the ingredients labels so that the parent of the child with allergies can make an assessment as to whether it is safe for their child. There is no such thing as a little bit allergic. Even trace amounts of a food allergen can cause a life-threatening reaction and the severity of each reaction can vary. Eight foods – milk, eggs, peanuts, tree nuts, soy, wheat, fish and shellfish – are responsible for 90% of allergic reactions. 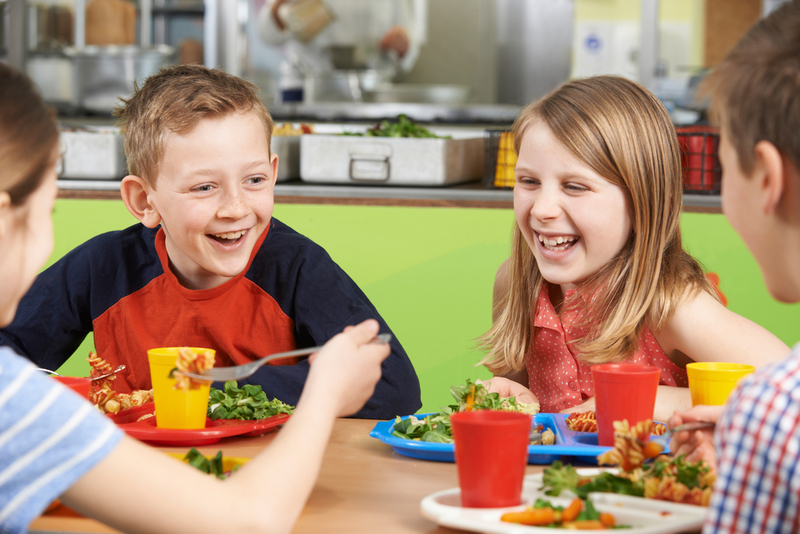 Up to 25% of children experience their first allergic reaction at school and more than 15% of children with known food allergies have had a reaction at school. All children who have food allergies should carry their medications (usually epinephrine) with them at all times. If it’s age-appropriate and allowed at your school, opt to have your child self-carry. Otherwise, arrangements school be made at the school to keep prescribed medication on site and easily accessible, and every adult who comes into contact with your child should be trained to use the epinephrine auto-injector that you leave at school for your child. Time is of the essence when an allergic reaction occurs. Colette Martin is a cookbook author, food allergy advocate, and an expert in food-allergy recipe development and substitutions. She is the author of Learning to Bake Allergen-Free: A Crash Course for Busy Parents on Baking without Wheat, Gluten, Dairy, Eggs, Soy or Nuts and The Allergy-Free Pantry: Make Your Own Staples, Snacks, and More without Wheat, Gluten, Dairy, Eggs, Soy or Nuts. You can find more of her recipes and articles at Learning to Eat Allergy-Free.